All plants need fertilizer to help them grow. While plants' individual needs for the elements of fertilizers may differ, the general requirements are the same. Most synthetic and organic fertilizers are made up of nitrogen ("N"), phosphorus ("P") and potassium ("K") in varying percentages. Each of these elements plays a crucial role in every stage of plant growth, from germination to flowering. Of all the elements in fertilizers, plants need nitrogen the most. Nitrogen is what helps foliage grow and turn green. It is an essential component of photosynthesis, the process plants use to turn light into usable energy, because it helps the plants make the proteins and carbohydrates it needs to feed itself. Some plants, especially legumes, take their nitrogen from the air and don't need additional nitrogen fertilizers, but most soils require yearly additions of the element. Plants that don't get enough nitrogen turn pale and show stunted growth. Synthetic nitrogen fertilizer is generally derived from ammonia or urea and is sold as a liquid or solid. Organic sources of nitrogen include aged manure, composted plant matter and seed meal such as corn gluten. Phosphorus is another essential element of plant metabolism. According to the North Carolina Department of Agriculture & Consumer Services, phosphorus contributes to plant growth by using the proteins and carbohydrates generated during photosynthesis, and it is a building block of DNA and plant amino acids. Phosphorus is especially important to plants as they begin to flower and set fruit. 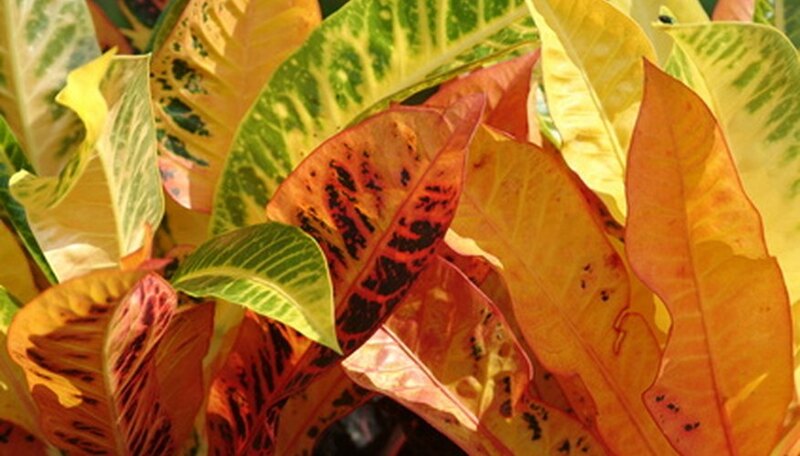 Plants that lack sufficient phosphorus often have dark, leathery leaves or leaves that turn reddish or purple at the tips. Some phosphorus is derived from fossil-containing rock dust that has been treated with sulfuric acid to make a concentrated solution. Organic phosphorus comes from untreated phosphate rock dusts or ground-up bones from the meat-processing industry. Plants need potassium for photosynthesis and growth, especially in the final stages. Potassium helps nutrients travel to all parts of the plant, and makes grains, seeds and fruits grow large. Potassium contributes to plants' resistance to disease and drought, and makes vegetables more nutritious because people and animals need potassium, too. Potassium deficiency in plants looks similar to nitrogen deficiency. Plants are weak with poor branch growth and yellowed leaves that drop off. A lot of the potassium used in fertilizers comes from potash or greensand, which are by-products of the ore-mining industry. One common organic source of potassium is wood ash from burned trees or plant material, and aged manures and compost also contain varying amounts of the element. Potassium can also be returned to the soil by tilling in spent plants.